This historic home faces troubling times, and seeks to rally the support of friends and neighbors. A piece of Hernando County history is struggling, and it needs our help. Many residents are familiar with the May-Stringer House in Brooksville. It’s one of the oldest restored homes in the area, and reportedly, one of the most haunted locations in Florida. It’s even logged on the National Registry of Historic Places. The Victorian-era mansion is part of the Hernando Heritage Museum Association, which also includes the 1885 Train Depot and the Countryman Family One Room Schoolhouse. Sadly, the nearly 164-year-old building is facing a financial crisis in the form of serious structural damage. The museum association knew that there was quite a bit of work to be done, but the extent of it was surprising. Some of it is more superficial, like the water damage upstairs that has caused peeling paint and wallpaper. But along with the structural issues, they’ve also discovered termite damage and damage to support beams. There are joists that don’t match up or support anything. 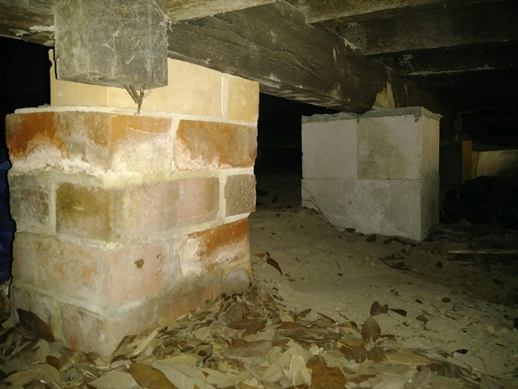 Many of the original 63 brick piers will need to be replaced, with additional foundation columns added. Unfortunately, the stabilization process has caused more, albeit unintentional damage, with plaster cracking and falling straight off the walls. The curator and the volunteer staff have done what they can, but they’ve had to call in a contractor experienced with historical buildings, Cavalier Construction, Inc. All in all, they’re looking at over $100,000 in repairs and renovations to fix and protect one of the most historic buildings in the county. And the history of the home is rich, indeed. First homesteaded in 1842 by Richard Wiggins, John May purchased the property in 1855. John was a local contractor, and he built the original structure. It was a simple four room home for himself and his family. He, his wife, Marena, and his two daughters, Matilda and Annie, lived there until tuberculosis claimed his life just three years later in 1858. He was buried on the property. Marena May remained at the home, running the plantation herself. She remarried a Confederate soldier by the name of Frank Saxon in 1866. Another three years passed before tragedy struck the household again, when Marena died giving birth to her and Frank’s daughter, Jessie May, in 1869. Marena was also laid to rest on the property. Sadly, little Jessie May herself passed just a few short years later at the age of three; she joined her mother and an infant brother in interment on the grounds. Eventually, Frank Saxon remarried and sold the home to Dr. Sheldon Stringer. He added a 10 room addition, transforming it into the four story, seven gabled, Queen Anne-style building that still stands today. Dr. Stringer lived there with his family, his wife and three children. He also used the structure to house his medical practice, and some say, a sanitarium for victims of yellow fever and smallpox. Three generations of the Stringer family resided in the home before it was sold to the Hensley family. Dr. Hensley and his wife, Helen, lived there until they sold it in 1981 to The Hernando County Historical Association. 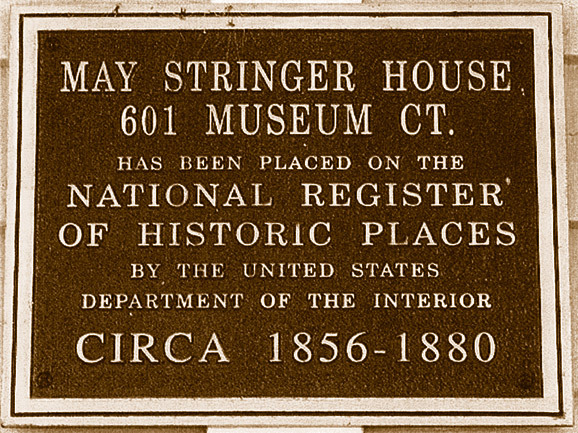 Then, the mansion was renamed The May-Stringer House, and the association worked hard to preserve the home and the history contained within. Not only does the home have a great deal of historical significance, but it’s said to be one of the most active paranormal sites in the state. It’s a popular choice among paranormal investigators, and has even been featured on the show, Ghost Adventures! There are supposedly somewhere between 8-13 different entities present in the home and on the grounds. 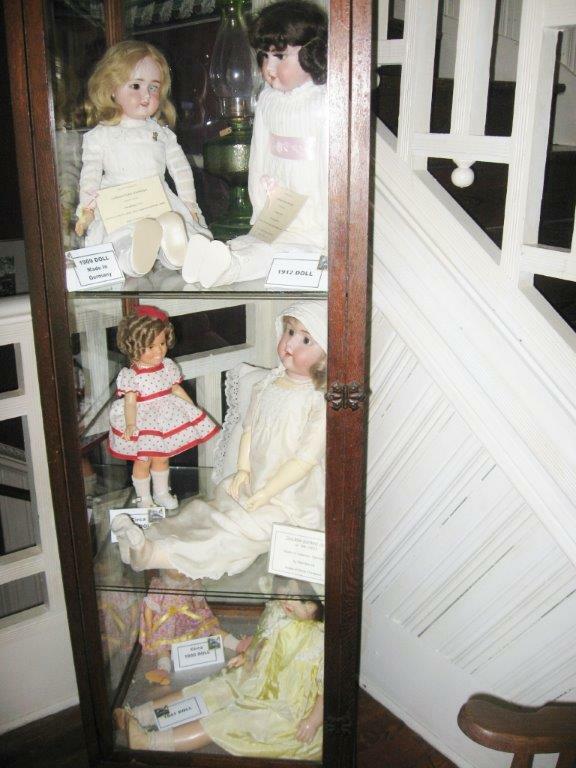 It is said that little Jessie May’s spirit is one of the most prominent on the property; she can often be heard crying for her mother, and it’s said that she’s very protective of her dolls, which are still on display. There’s also a notoriously hostile spirit, often referred to as “Mr. Nasty”, who resides mostly in the museum’s attic. Mr. Nasty was, allegedly, a solider who hanged himself there after learning of his fiancée’s infidelity. He has a particular distaste for female visitors and staff. Many visitors and volunteers claim to have experienced or witnessed some kind of spectral activity on the property, including seeing floating orbs, feeling cold spots, hearing children laugh or cry with no children present, and more. In fact, the museum curator, Morgan Wick, says in a Hernando Sun article that it’s rare for a day go by and not experience some sort of phenomena. “… You’ll hear full conversations, dinner parties- I’ve walked through the dining room and I smell pot roast. You can smell the potatoes, carrots, hear dishes clanging...” Paranormal investigators are welcome to visit and perform tests; the museum also offers ghost tours on Fridays and Saturdays. Today, the museum houses approximately 11,000 historical artifacts; many more, in fact, than they have room to display all at once. Some belong to the museum, and some are on loan from local families. The staff rotates artifacts throughout the year so that visitors get to see new objects when they visit. 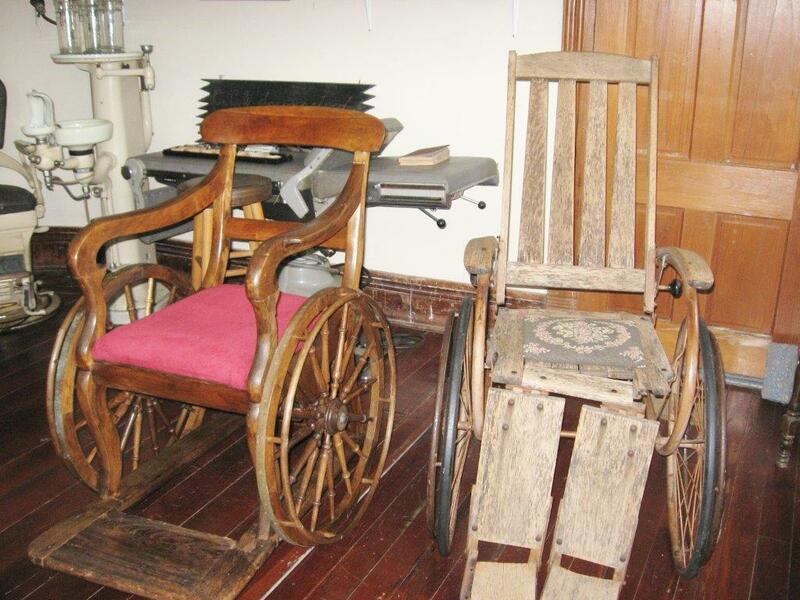 Displays are often themed, and there are even special rooms, like the Military Room, the Communications Room, and even a doctor’s office, straight from the 1800s. In addition to helping preserve the past, the museum plays an important role here in Hernando County. They frequently host school groups on field trips, visitors from senior homes and nursing facilities, scout troops, and even foreign guests. Tourists from as far away as England have come to see the museum and discover the local history. The museum is also an approved Bright Future Volunteer Location, meaning that local teens applying for a Bright Future scholarship can pick up volunteer hours by becoming a Junior Docent Tour Guide, greeting guests, assisting with the grounds, or working special events. The association often hosts events in which local vendors are invited to participate; and while yes, they are fundraisers for the museum, they also provide opportunities for local business owners. And now the museum needs the support of the community! The Hernando Heritage Museum Association is a non-profit organization; it receives absolutely zero funding from the city, county, state, or federal governments. The gift shop, previously another source of revenue, has been closed for over a year due to setbacks in the renovations. The museum relies solely on entrance fees, volunteers, special fundraiser events, and donations to keep its doors open. The good news is that you can help save this amazing institution in a number of ways! The association is always seeking volunteers, especially those who have specialized skills, like carpentry, groundskeeping, or grant writing, for example. They will also train those willing to become docents. If you can’t donate your time, monetary donations can be made at the association’s website via PayPal. And of course, you can always lend your support by visiting the museum! If you’ve never been to the May-Stringer House to explore the exhibits in person, they’re open Tuesday through Saturday from noon to 3 pm. Each guided tour lasts approximately 45 minutes, where a docent will lead you through the home. Admission is $5 per adult; children ages 6-12 are $2 each, and kids 5 and under are free! Do note that because of the age of the home, some areas may not be wheelchair accessible. Ghost tours are also held on Fridays and Saturdays, although those are by appointment only; admission ranges from $20 per person to $200 for a group investigation – cash only, please. And of course, you can also attend the special events! The Heritage Day Festival is going to be on Saturday, February 16th. This free event will feature over 60 vendors, including local artists and crafters; there will be live entertainment, food trucks, children’s activities, and more! Tours of all three of the local museums will be offered, too. The May-Stringer House is located at 601 Museum Ct, Brooksville , FL 34601. For more information, including on how you can help, you can call them at 352-799-0129, email [email protected], or visit http://www.hernandohistoricalmuseumassoc.com/.